As groceries home deliveries become more and more popular and accessible, with numerous offers available out there, it is now time to take the next step. 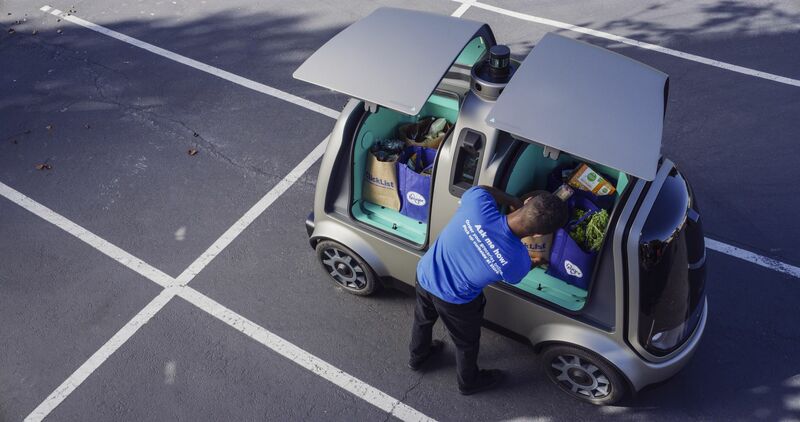 By teaming up with the United-States’ largest supermarket chain, Kroger, the startup Nuro hopes to forever change the experience of groceries delivery. Founded quite recently (the startup is only two years old) by a couple ex-employees of Google’s self-driving car program, Nuro announced the partnership this june. This is a major milestone for the company which specialized in autonomous vehicles for last-mile deliveries. It is rather a different take on autonomous technology: we’re talking about transporting goods and not people, on very short distances. The keyword is local. A pilot experimentation of the product at work will be operational in the US this fall in a city yet to be announced. At first, an operator will be present in the vehicle but not visible by the customers, in order to offer an immersive user experience. For now, Nuro has been granted an authorization by the state of California to deploy a fleet of six vehicles in order to collect data and program itineraries. All these precious details will then be used to improve the prototype before the big launch. The R1 vehicle designed by Nuro looks like a big toaster on four wheels and brings an answer to a real contemporary problematic: how to shorten delivery windows? We’re living in an era where robotics, self-driving technologies and e-commerce are booming like never before. These three fashions seem to be a match made in heaven. So of course lot of economic players are betting on this convergence. We can cite Amazon, who just filed a patent for an autonomous ground vehicle to perform deliveries or Ford Motor Company which unveiled during the CES 2018 its collaboration with Domino’s. One pizza delivered to your door by a self-driving car, one! Once again, the dystopian tv show Black Mirror has never been so right about the future to come, even when it’s about something as mundane as pizza delivery (“Crocodile”, season 4 ep.3). Confronting people to autonomous technology via daily activities, like picking up groceries, could be the easiest way to accustom them to the sight of a strange object roaming the streets by itself. And, why not, they could even accept afterwards to become a passenger in one of them! These projects are rooted in a much larger reconfiguration of the way we travel in urban environments. This “last-mile” problematic is not only applicable to goods but also to people which are traveling from a point A to a point B, daily or not. Other experimentations combine both. 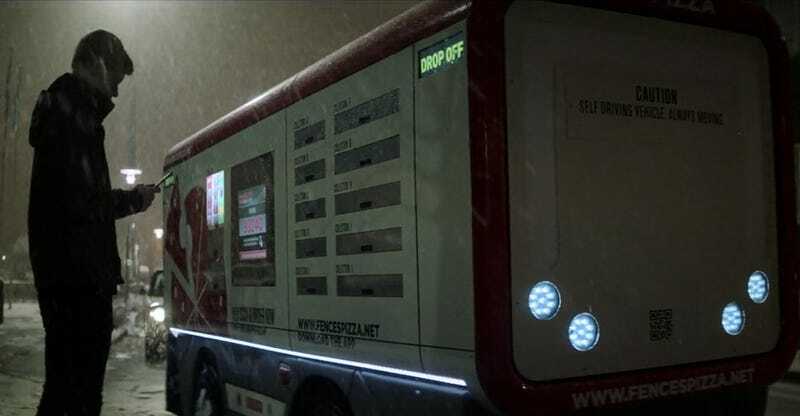 It’s the case of the e-Palette prototype, by Toyota, which are vehicles that can be used as delivery devices but also as shared autonomous vehicles to transport people on short-distances. The future is to those who are bold enough to get on board! In a not-so-distant future, that kind of mobility could be use in addition of other means of transportation such as public transport, electric bicycles and so on. 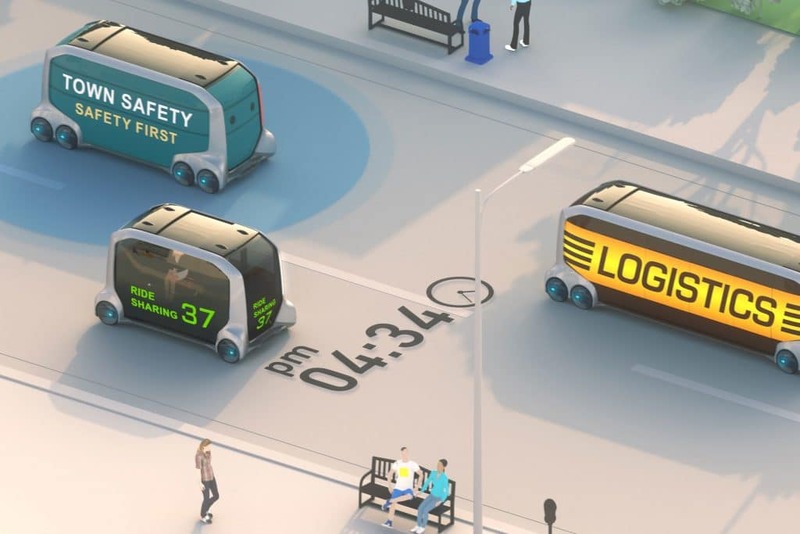 Autonomous vehicles could take a major part in more global, connected and multimodal mobility.